It would appear that spring might finally be starting. We have been pretty much snow free for 3 weeks now but the temperature has been rather cold for March. 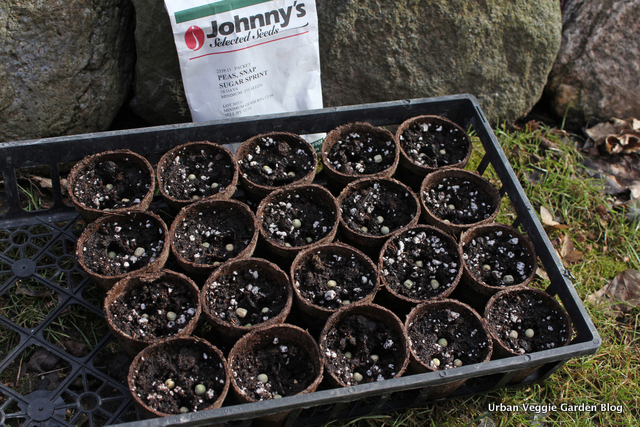 The days ahead will be sunny and 4-8c (39-46f) so I planted up my peas. I started 20 peat pots, 3 seeds in each (old seed) and I will hopefully thin to 2 plants per pot. I am germinating them in the coldframe and they will be planted out in 2-4 weeks, pot and all. This year I am only growing snap peas with the particular variety being Sugar Sprint. I really prefer snaps as the harvest is at least twice as much compared to shelling peas. Today I was able to get my fork in the ground and harvest some carrots. We were luckily missed by the last eastern snow storm so the veggie garden is now snow free. I planted these carrots late last summer and they overwintered well. 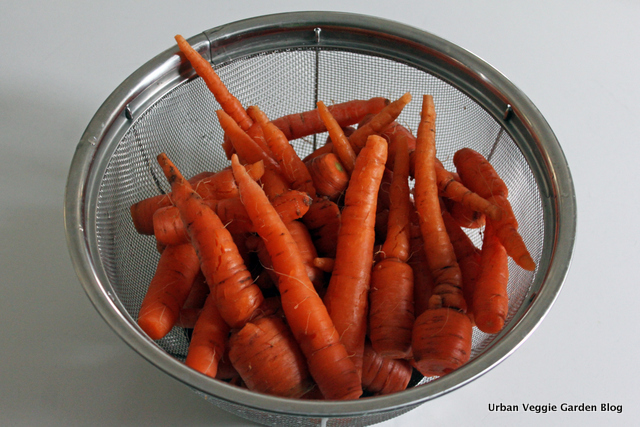 They are super sweet and crunchy, looks like carrots are for dinner! The variety is Sugarsnax 54, Pelleted. 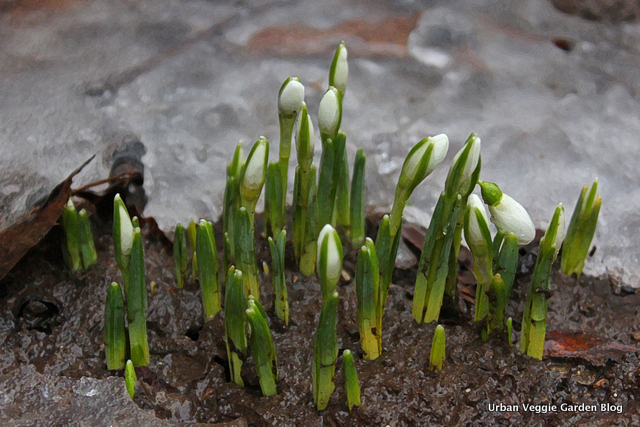 The bulbs are also starting to make an appearance. These particular Snowdrops I dug up from a ditch a few years ago. Last fall I planted quite a number of spring bulbs so I'm looking forward to seeing them bloom as well. The new season is underway. I started my peppers mid February including Anaheim, Pasilla and Ancho peppers. The only ones not doing so well are the Ancho with only two sprouts. The seed was old (2009) so it was expected. I figure I can make due with two plants anyway. Just before the peppers sprouted I got my light up and running. All these plants have spent the winter stuffed in the spare room to save on hydro. They are looking a little raged at the moment but they will perk up shortly. Once they do I'll start propagating them to fill the outdoor containers. It is nice to start growing things again! This year we actually had consistant winter weather so it has been a long haul. It will sure be a releif when the snow melts and I can start tending to things outdoors again. Keep an eye out for my sowing schedule post, which I should have up by the weekend.